Space Travel Music, Time Travel Music, Cinematic Music, Chill, Moody Jazz, Piano Music, Inspirational Music, Chilled Jazz and other Smooth Sounds. With a mix of piano-featured, beat-intense and dramatically-orchestrated tracks, this collection has great tracks that can be used for background music for thinking and reflection. It also has some smooth grooves to relax to along with some intense tracks to stir the emotions. Thanks to every music producer, musician and artist who has inspired, influenced and impacted me and positively contributed to my music journey. Special Thanks to all of my family, friends and supporters. You are appreciated. Grace and Peace! All songs produced by Taurus M. James. All Rights Reserved. Original, Moody instruMental Music. This music is for Personal Use entertainment purposes only. Purchasing this project DOES NOT give you permission to use the songs for any other purpose. If you are interested in music production for your project, purchase a "Project Use" license. Please contact me to customize any song for your specific project needs. Buy the collection and get special discount price. All songs in collection available as high-quality download in MP3 and other formats. All songs are available for Personal Use only with purchase. I created this music to Inspire, Influence and Impact all who have ears to hear. This collection is the expression of my thoughts and emotions as I "Live through the Loss" of my eyesight. 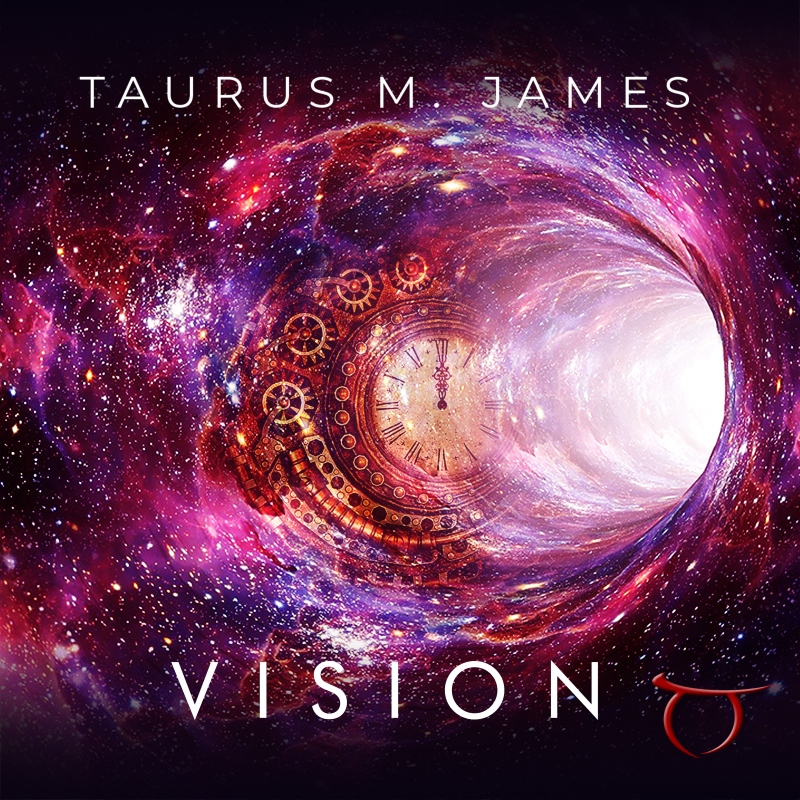 As you listen to the moody music, I invite you to take a different look at this journey through life with me, "Time-Space Taurus James." Each song in the VISION music collection tells part of my life story. As a collection, the music represents a "chapter" of my music journal. it is a chapter from my music diary, holding my unspoken thought and emotions about the topic of losing something so precious, while continuing to seek out new ways to live through the loss. 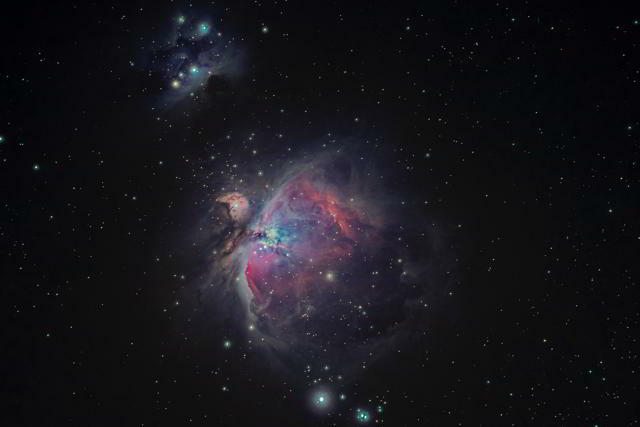 Space travel is the theme of the VISION album. More specifically, the moody instrumental music tells the story of my personal journey through time and space. With the cold, darkness of space as the backdrop of the musical story, the mood of the music is often slow, but filled with intense beats and orchestration. The music mood changes often from on song to the next and it is not unusual for the mood to change several times in one song. Whether the music is upbeat with a bouncy groove, or dark and sad with a deliberate and agressive quantized feel, the instruments and instrumentation keep a common thread throughout, makin this collection a seamless ride. All moody instrumental music for the VISION collection was created usin Propellerhead Reason and a Yamaha DJX MIDI keyboard as the controller for the software. While I usemany differeent music software programs for music production, I find Reason the easiest to use because of the workflow that I developed over the past decade. Propellerhead Reason allows me to make more music in less time.